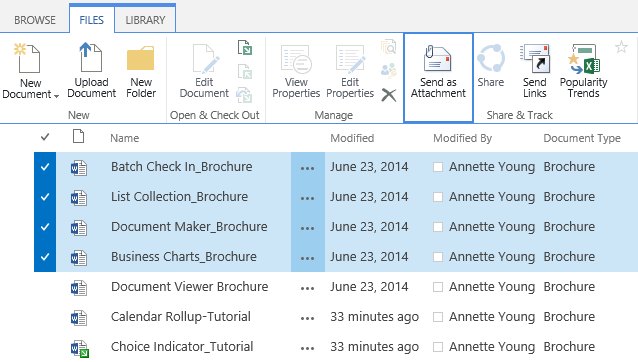 Quickly and easily create documents using your list data in SharePoint. Reuse data stored in SharePoint lists to generate accurate and customized documents such as invoices, contracts, reports, proposals and more. The documents can be saved as Docx, Doc, PDF and XPS formats. Bulk create individual documents using multiple records stored in the list, thus greatly saving time and effort to generate documents individually. Quickly and easily pull data from multiple SharePoint items and merge them into one document. This useful function can help users rapidly create invoices, quotes, reports and other documents by combining multiple items to create a complex document without copying or pasting. Save time by checking in large groups of checked-out documents, instead of checking-in files individually. Users can also check-in checked-out files contained in folders and subfolders at the same time. 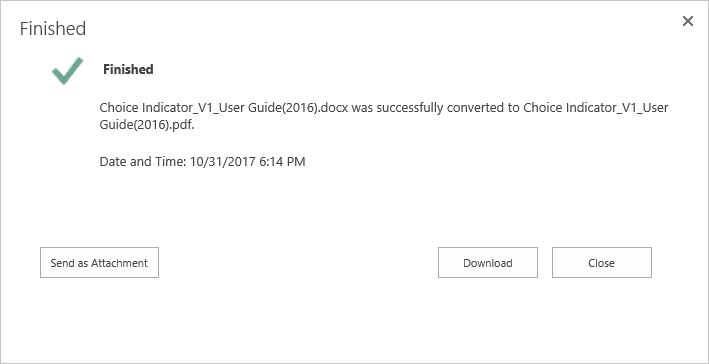 Convert or merge MS Office files, images and more to PDF in SharePoint. 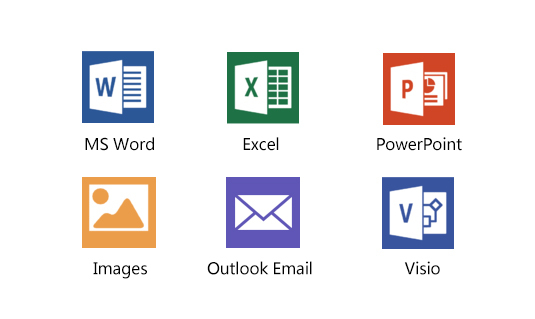 SharePoint PDF Converter supports a wide range of document types: MS Word (doc, docx), Excel (xls, xlsx, csv), PowerPoint (ppt, pptx), Visio (vsd, vsdx), Images (png, jpeg, tiff, psd), e-mail (msg) files and more. 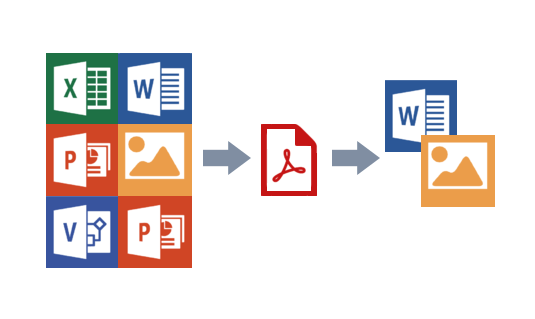 SharePoint PDF Converter can not only convert Word, Excel or PowerPoint files to PDF, but is able to convert PDF back to a MS Word file. The best part is users do not have to download or install additional software to their computers. 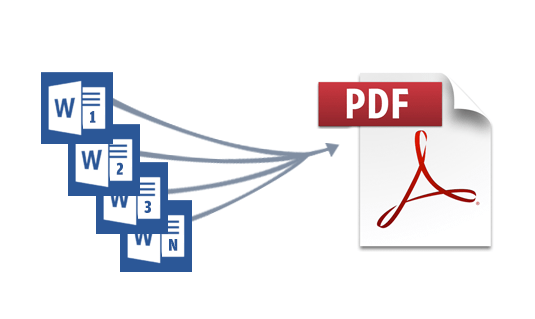 Using SharePoint PDF Convertor, users can combine multiple continuous files to one PDF file. Just select the files, click one button and the document is ready for distribution. Easily view any SharePoint document in your browser, anytime and anywhere. Quickly view any file online, within a browser, without installing client software or downloading documents to your computer. No matter if a file is large or small; a Pre-Cache feature will enable you to preview the file in just a few seconds. SharePoint Document Viewer supports Microsoft® Office documents (2003/2007/2010/2013), PDFs, images, plain text, web pages, and so on. A thumbnail view is available to preview the contents of a document. You can easily navigate to a desired page by clicking a thumbnail image. With one click, you can view built-in bookmarks for PDF documents in tree view and navigate to any page instantly by clicking the specific bookmark. Easily share and send documents within your organization. 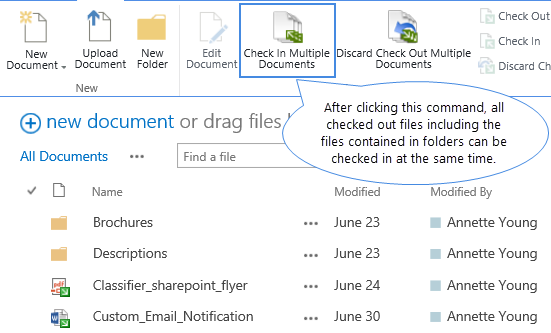 Zipping and unzipping inside SharePoint libraries couldn’t be easier; users can zip multiple documents and folders into a single file or unzip files inside a SharePoint document library without installing additional software. 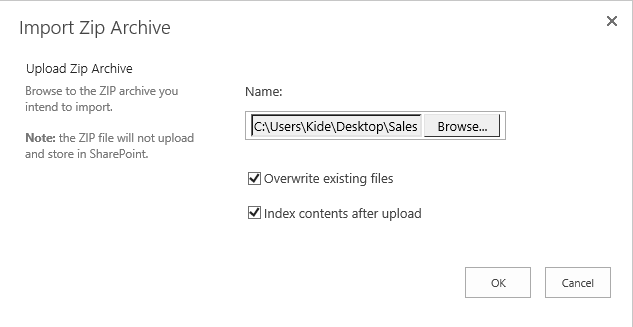 Users can import zip files to SharePoint and all content within the zip file will be automatically extracted and stored in a specific document library. File upload times can be obviously reduced because of the high compression ratio of zip files. Quickly and easily view SharePoint documents in your browser, anytime and anywhere.